Gevalia Colombia ground coffee consists only of selected beans matured along the slopes of the Andes, where the coffee tree is growing under ideal conditions in the red volcanic soil. The berries is allowed to mature slowly in sunshine and clean air at 1500 meters altitude. 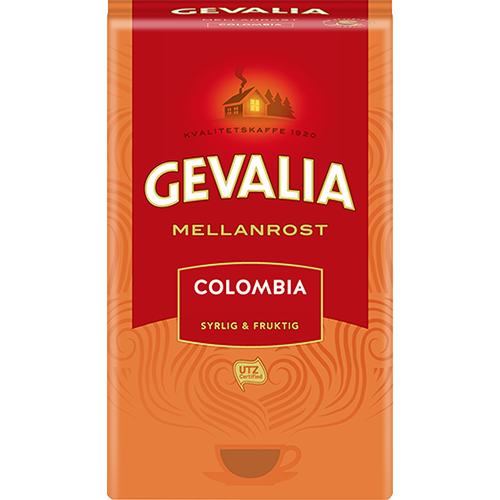 It gives Gevalia Colombia its characteristic rich and tart flavour combined with a slightly fruity aftertaste.